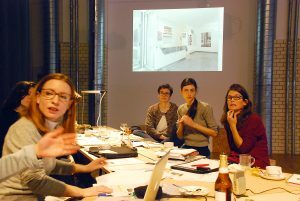 The Bureau des arts plastiques of the Institut français develops, in the frame of the program for young curators Jeunes Commissaires, and in cooperation with the DAZ, the project In Extenso – Erweitert and poses the question How to rethink space and matter? 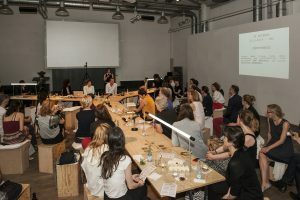 Four French curators have been invited to dedicate themselves to the themes of Performance, Social Context, Public Space and Storytelling in an experimental process based on a series of public discussions and workshops. The curator Karima Boudou invites with architect Laurence Kimmel and artist, poet and essayist Jimmie Durham to explore the impact of architecture on the individual as well as the political and social interrelations that determine our relationship to the environment. 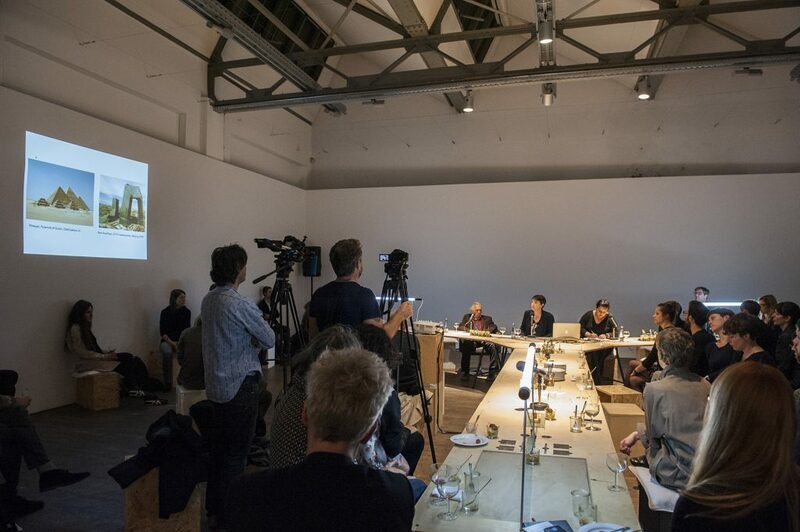 To what extent do art and architecture represent these contexts and processes? How do they influence our actions? Can design techniques be generated from this? A Project by the Bureau des arts plastiques of the Institut français in cooperation with the DAZ.